The northern bettong is a small, grey, lightly-built macropod with a low black crest on the end of its tail. The northern bettong is restricted to a narrow band of relatively moist eucalypt forests on the margins of rainforest in the Wet Tropics of Far North Queensland. 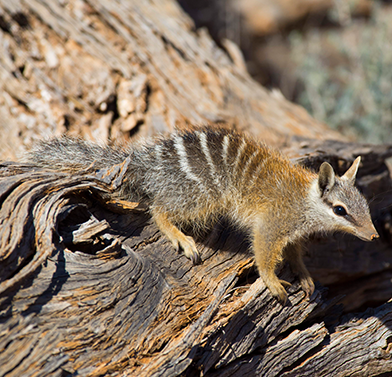 Threats to the northern bettong include feral predators and herbivores, inappropriate fire regimes and climate change. AWC purchased Mount Zero-Taravale sanctuary in part to conserve habitat of the former northern bettong population in the Coane Range. AWC has restored a conservation-oriented fire regime on Mount Zero-Taravale with the aim of limiting the ‘capture’ of wet sclerophyll forest by rainforest plants, allocasuarina saplings and lantana. In addition, AWC is implementing the broadscale restoration of wet sclerophyll forests on Mount Zero Taravale, thinning the dense understorey over extensive areas to promote the growth of a grassy understorey. This work has been conducted in part by the Girringun Rangers. Feral cats have caused declines of bettong species throughout Australia. 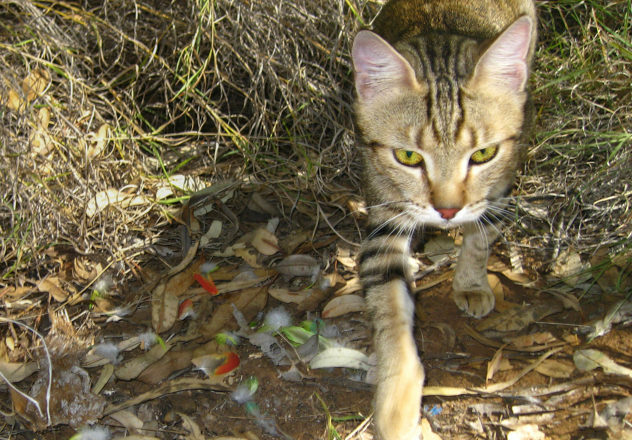 Feral cats occur throughout the northern bettong’s range and it’s likely they are negatively impacting on the population. 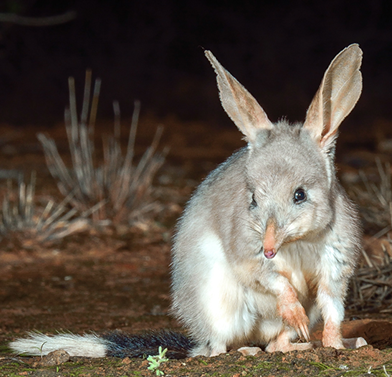 Feral and stray herbivores (such as cattle, horses and pigs) also likely affect northern bettongs, competing for food resources and reducing shelter. Northern bettongs are also threatened by inappropriate fire reqimes. 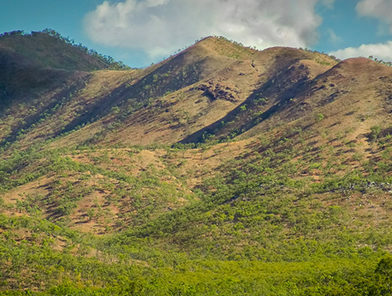 A reduction of fire in eucalypt forests across the Wet Tropics has resulted in the ‘capture’ of extensive areas of these forests by rainforest plants, dense regrowth of allocasaurina saplings and the weed lantana. The resulting dense regrowth shades out the grassy understorey relied upon by the northern bettong for food and shelter. 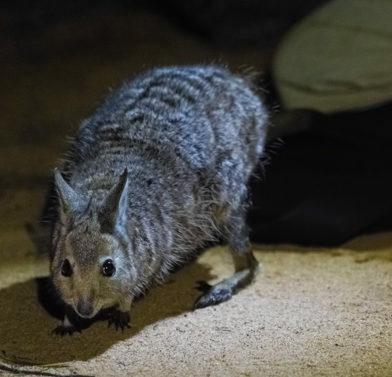 The small size of the remaining populations of northern bettong mean they are especially susceptible to extinction, and the isolation of remaining populations means that natural recolonisation of suitable habitat is unlikely. The northern bettong is a small, grey, lightly-built macropod with a black crest on the end of its tail. It holds its front paws closely to its chest, and moves with a low, distinctive springy hop. It grows to just over 30 cm with a tail to 34 cm and an average weight of 1.2 kg. The northern bettong is restricted to a narrow band of sclerophyll forests on the margins of rainforest in the Wet Tropics of Far North Queensland. Once widespread, they are rapidly declining. 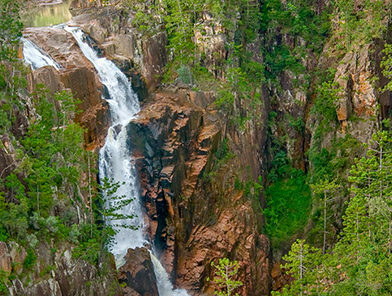 Ten years ago, there were four known populations: Mt Windsor, south-west of Cooktown; Mt Spurgeon, near Brooklyn; Lamb Range, south-west of Cairns, and the Coane Range (Mount Zero-Taravale), north-west of Townsville. Today, only two populations persist (Mt. Spurgeon and Lamb Range). The major extant population occurs on the Lamb Range and may number up to 2500 individuals; the population at Mt. Spurgeon is tiny, estimated to be less than 100 individuals. The northern bettong specialises on the underground fruiting bodies of ectomycorrhizal fungi (truffles) for the majority of the year. During the driest months, its diet switches to the fleshy tubers of cockatoo grass and lilies; herbs, invertebrates, fruits and seeds make up minor components of its diet. 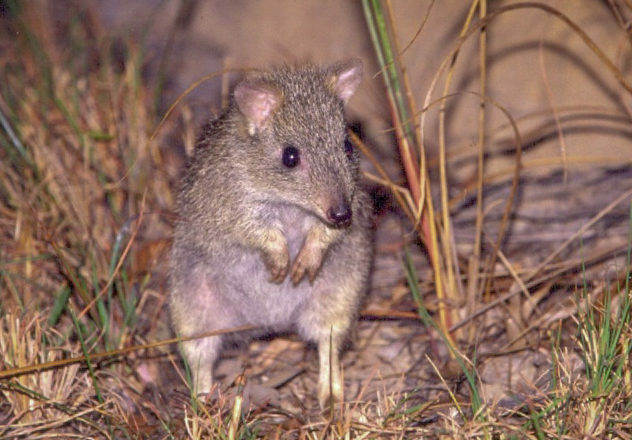 The northern bettong is a keystone species, responsible for the dispersal of a huge number of species of ectomycorrhizal fungi. These fungi play an essential role in forest health, forming a symbiotic relationship with the roots of eucalyptus and allocasuarina trees.